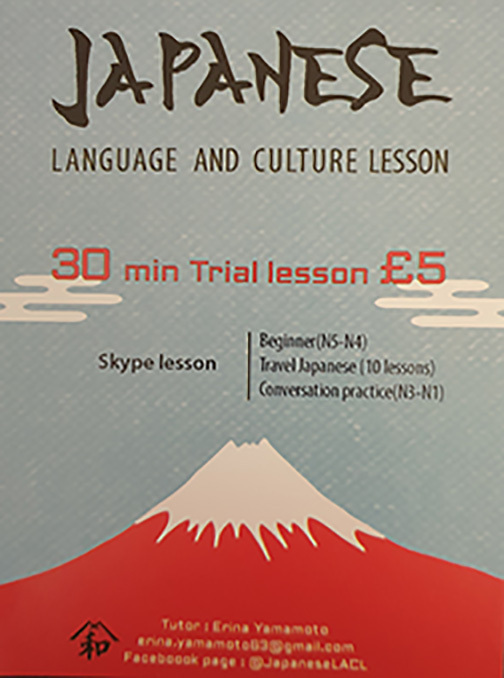 For those travelling to Okinawa this summer Sensei Ernie has found a good link to learn Japanese for a trial lesson of just £5.00 for 30 minutes. The World Budosai has been given a name change! From now on the event will be known as the Okinawa Dento Karate-do Gishiki. The change came from the recommendation of those responsible for helping Higaonna Sensei and other masters in Okinawa to achieve their goal of having UNESCO recognize traditional Karate as a cultural treasure. ‘Gishiki’ (pronounced ‘Gish-ki’) means ‘ceremony’, giving a more formal title to our largest of IOGKF International events. 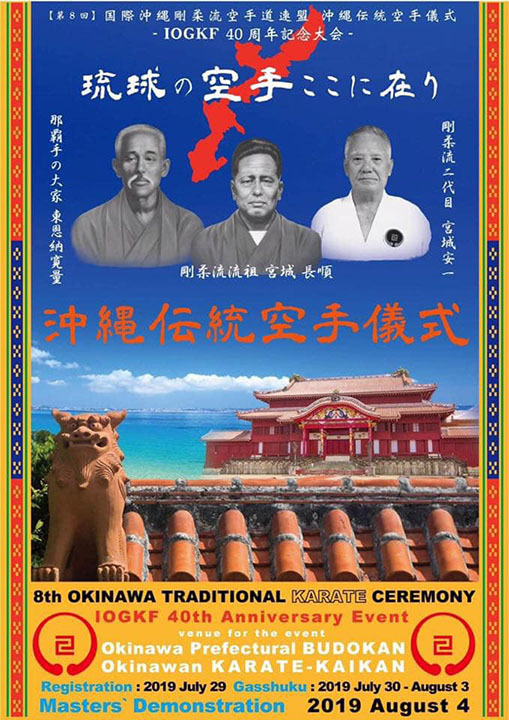 The Gishiki will still take place on the same dates and will utilize both the Okinawa Budokan and the Karate Kaikan. Hope to see you at the Gishiki so click on the poster below for registration ! 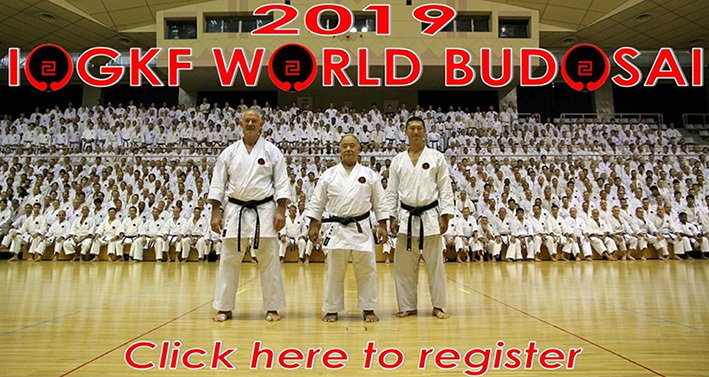 The 2019 IOGKF World Budosai registration site is now open and ready for business. Check out the home page of www.iogkf.com and click on the Budosai poster. The site also offers help with obtaining accommodations, but don’t delay. They are going fast. Hope to see you at the Budosai! 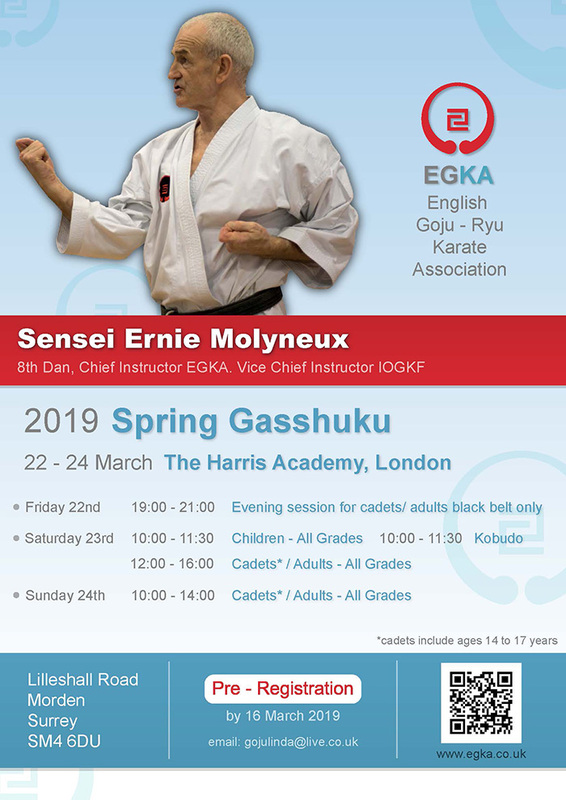 You will find the link to the updated gasshuku information on our events page. Click here for 2017 archived news. Click here for 2016 archived news. Click here for 2015 archived news. Click here for further archived news.